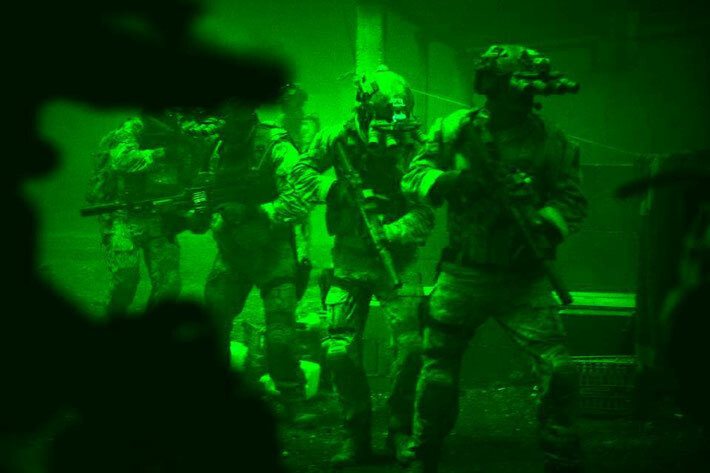 On 2nd May 2011, a team of US special forces operatives based in Afghanistan climbed on board two stealth helicopters and traveled to a compound 120 miles inside Pakistan. 40 minutes after they arrived, five men from the compound were dead. One of those men was Osama bin Laden. 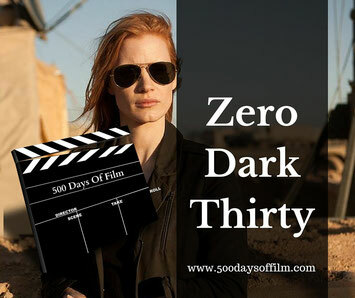 Zero Dark Thirty looks examines the hunt for bin Laden, the intelligence that was gathered and the almost obsessive dedication of those responsible for finding him. Zero Dark Thirty is a dark, upsetting and gripping film by The Hurt Locker director, Kathryn Bigelow. This is a film that I enjoyed very much. It feels real, features some superb performances and kept me gripped even though I knew the outcome of the story. The idea for Zero Dark Thirty came soon after the completion of The Hurt Locker. Bigelow and writer/producer Mark Boal were both interested in making a film about the search for Osama bin Laden. This, of course, was an ongoing hunt at the time. They were about two thirds of the way through their screenplay when bin Laden was killed. As a result, they decided to refocus their film on the intelligence operation that led to the killing. We see events unfold from the perspective of Maya (Jessica Chastain). Maya is a fictional character but one based on a real female CIA agent. Kathryn Bigelow sees Zero Dark Thirty as a portrait of dedication. In many interviews, the director has expressed her fascination for those people who dedicate their lives to this work. This powerful theme runs throughout her film. As does the cost on all involved - physical and emotional. The stress, frustration and pressure are palpable. We are not, however, shown the backstories of any of the characters. This film is too immediate - there is no room for any other timelines. Thankfully, superb central performances - from Chastain and Jason Clark particularly - ensure that we don’t need to be shown this history - we feel the weight of it in their actions and responses. Zero Dark Thirty’s focus on one timeline also builds the film’s considerable tension. In an interview with ABC News, Bigelow explains that “what’s most important to me, and this was very important to me in The Hurt Locker too, is that idea of something being immediate and unfolding in front of you in real time. The trailer for Zero Dark Thirty states that the film is based on “the story you think you know” and adds that the film will show you “how it happened”. This plays on the movie’s desire to be as authentic an account of the actual events as possible. The CIA worked with Bigelow and Boal for over a year in preparation for the film. On its release, many people raised concerns as to whether the filmmakers were given too much access to classified information about the bin Laden operation. Following a Freedom of Information Act lawsuit, Vice News obtained over 100 pages of CIA documents detailing the controversial role the CIA played in the production of Zero Dark Thirty. Within those pages are two reports that relate specifically to the film: Alleged Disclosure of Classified Information by Former D/CIA and Potential Ethics Violations Involving Film Producers. There is also another, broader report looking at CIA processes for engaging with the entertainment industry. This information shows how Bigelow and Boal worked closely with the CIA in order to make their film as authentic as possible. Of course, Bigelow and Boal’s close working relationship with the CIA led many to criticise Zero Dark Thirty for being a huge marketing campaign for the agency. The film was also accused of condoning torture. In December 2012, Dianne Feinstein, then Chairman of the Senate Select Committee on Intelligence sent a letter to Michael Lynton, chairman and CEO of Sony Pictures Entertainment. Feinstein criticised Bigelow's film for being “grossly inaccurate and misleading in its suggestion that torture resulted in information that led to the location of Usama bin Laden”. The controversy surrounding this aspect of Zero Dark Thirty soon spread. Bigelow was subject to some brutal criticism and online vitriol. I’d like to put my hand up at this stage and say, I don’t get it. I’ve seen this film and at no stage did I think that it condoned torture. Actually, quite the opposite. The film clearly shows that the intelligence that led to the discovery of bin Laden was not found as a result of the CIA’s use of “enhanced interrogation”. For her part, Bigelow has welcomed what she feels is an important debate. In the ABC news interview, she explains that she takes the criticism “very seriously. Certainly, based on our research, that’s [the torture] part of the story and to have eliminated it would have meant we would have been whitewashing that story. “That is part of the story as our research showed. It was also not the most significant part nor was it pivotal. Could the investigators have found that compound in Abbotttabad without it? No one will know. Or perhaps that will be debated for quite a long time. The film’s title, Zero Dark Thirty, refers of course to the military time of 12.30 at night which was the time when bin Laden was killed. However, Kathryn Bigelow also felt that the title resonated with the dark times during the decade long manhunt. Have you seen Zero Dark Thirty?